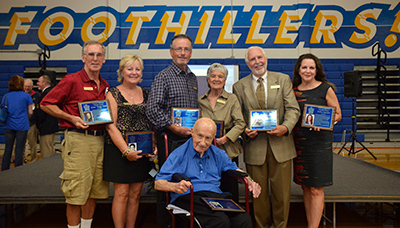 From the 1960's to the 1980's, 27 Grossmont alumni were selected as Honor Graduates. 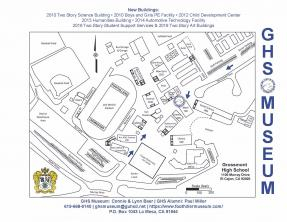 Beginning in 2010, and every 5 years subsequent, Grossmont High School's Hall of Honor will welcome notable alumni or faculty/staff/community members who have achieved in one of several areas: athletics, academics, arts, public service or who have been dedicated faculty, staff or community members. Currently, there ar 39 Hall of Honor Members. Click here for a complete list. Below are the photographs and the text from the Hall of Honor plaques presented to each honoree; these plaques are displayed in the Museum! These individuals have brought honor to Grossmont High School after their graduation or through their years of involvement with Grossmont. The next induction will be on our 100th Anniversary Celebration in the fall of 2020! Grossmont has been honored to be the high school of several combat pilots—none is more revered than Marine test, Top Gun, and Desert Storm veteran, Rick Sturckow. 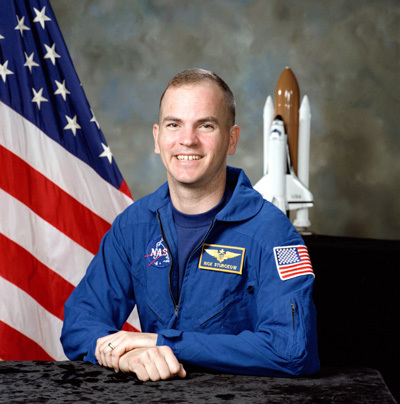 After completing thousands of flight hours in dozens of aircraft and receiving numerous service medals, Sturckow was selected by NASA in 1994. Sturckow has logged over 50 days in space on missions STS-88 (1998), STS-105 (2001), STS-117 (2007), and STS-128 (2009). Colonel Sturckow retired from the United States Marine Corps while on board the International Space Station in September, 2009, after 25 years of active duty service. 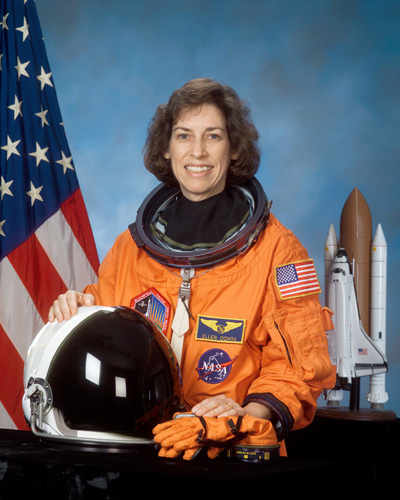 After graduating from Grossmont High School, Ellen Ochoa received her bachelor of science degree in physics from San Diego State University in 1980, going on to earn her master of science degree and doctorate in electrical engineering from Stanford. A leader in optical research and development, Dr. Ochoa became an astronaut in 1991. Dr. Ochoa has logged over 40 days in space, on missions STS-56 (1993), STS-66 (1994), STS-96 (1999), and STS-110 (2002). Since December 31, 2012, Dr. Ochoa has served as Director, Johnson Space Center, while her educational and professional leadership continues to be an inspiration for all Grossmont students. As a teenage food server at IHOP, Julia Stewart could not have foreseen the lifelong passion her first part time job would create. In 2002, Ms. Stewart became the first female CEO of IHOP in its 54-year history and re-energized the company. During her tenure the company more than doubled their sales through a consumer and franchise-focused strategy. Prior to this, Ms. Stewart served as President of Applebee’s and held key executive positions with Taco Bell, Burger King, Carl’s Jr., and Black Angus/Cattle Company. Obviously, Ms. Stewart’s success-oriented management style has been inspirational. 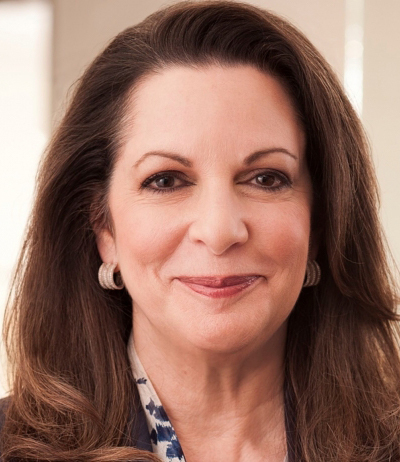 A 45-year veteran of the restaurant industry, Ms. Stewart currently serves as the Chairman and CEO of DineEquity, Inc., the world’s largest full-service restaurant company. In 2007, she was instrumental in the creation of DineEquity through the merger of Applebee’s and IHOP Restaurants. Today, DineEquity has over 3,600 locations and 200,000 team members including its franchise and restaurant employees. Julia Stewart has used her CEO position to inspire other women to pursue leadership roles. She is a founding member of the Women’s Foodservice Forum, an organization dedicated to the development and advancement of women in business. 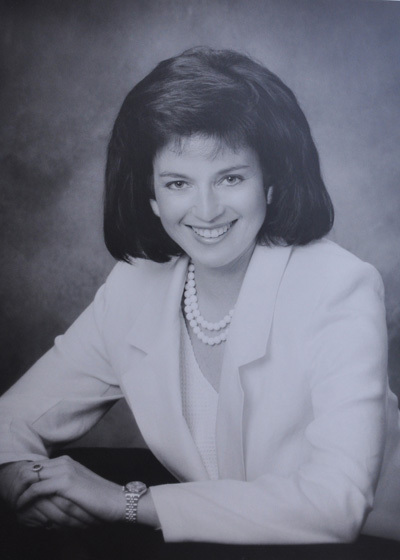 Michele Marsh graduated from Northwestern University in 1976 and immediately became a reporter/anchor for WABI-TV in Bangor, Maine.A job at KSAT-TV in San Antonio, Texas, followed. In 1979, her meteoric rise carried her to New York City, where Michele madebroadcasting history by becoming the youngest woman to co-anchor an 11 o'clock newscast at a network flagship station. She was 25 at the time. Michele’s long career in New York spanned nearly a quarter of a century. Michele was awarded 5 Emmys, both for reporting and anchoringthe news. She worked 17 yearsatWCBS-TV and 7 years at WNBC-TV. Her many reporting assignments included the world travels of Pope John Paul II and the visits of Princess Diana to the U.S. Michele's television work alsoincluded a weekly adoption series that helped place dozens of physically and emotionally challenged kids in good homes. The 1969 El Recuerdo foreshadowed Woody Clarke’s future achievements with Woody’s choice of an inspirational quote: “New opinions are always suspected and usually opposed without any other reason but because they are not already common.” With that thought as a guiding principle, Woody Clarke became a distinguished lawyer, prosecutor, and judge. From 1982 until 2003, Woody Clarke served as a prosecutor in the San Diego County District Attorney’s office. As a prosecutor “Mr. Clarke helped pioneer the introduction of DNA test results in court”, praised former U.S. Attorney General Janet Reno in 2007, who in 1998 had appointed Mr. Clarke to serve on her National Commission on the Future of DNA Evidence. In 1995, Woody became the prosecution’s DNA expert in the O.J. Simpson trial, a role that brought him national attention. Later, Mr. Clarke designed and operated, at the request of then San Diego County District Attorney Paul Pfingst, the nation’s first prosecutorial DNA testing program for prison inmates who had maintained their innocence and were convicted before local DNA tests became available in 1993. In 2003 the California District Attorneys Association named Woody Clarke the Outstanding Prosecutor of the Year. 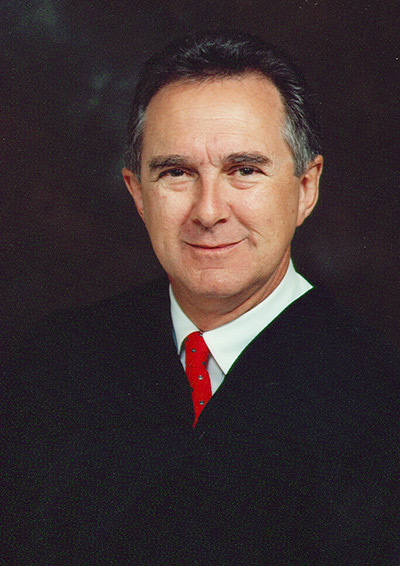 Woody served as a San Diego Superior Court judge from 2003 until his untimely passing in 2012. Posthumously in 2013, the San Diego County Bar Association honored Judge Clarke as an “Outstanding Jurist”. Those who knew Woody Clarke praised his kindness, his caring spirit, and his humility. Brian Sipe was the youngest player on the 1961 Little League World Series Championship team from El Cajon. However, at Grossmont and at San Diego State, his talents turned to being a football quarterback. At San Diego State, coached by legendary Don Coryell, Brian set numerous passing records. The 1969 team went undefeated at 11-0 and won the Pasadena Bowl. From 1969-1971, he established himself as one of the greatest SDSU quarterbacks ever. For twelve years, from 1972 to 1983, Brian played for the Cleveland Browns. In 1980, he led the National Football League in passing and was selected the league’s Most Valuable Player after leading the Browns team, nicknamed the “Kardiac Kids”, to a Central Division title. The team’s “come from behind” ability at the last minute became legendary. 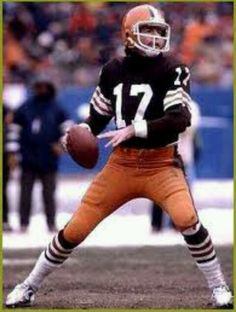 At one time, Brian held nearly every Cleveland Browns’ passing record, including most career passing yardage (23,713), most passing yards in a season (4,132 in 1980), and most career passing touchdowns in one season (30). After playing in the U.S. Football League for two years in 1984-85, a shoulder injury ended his football career, but not his love of the game. While working in real estate design and development, Brian Sipe became head football coach at Santa Fe Christian Schools from 2001 to 2008. Following that, Brian coached quarterbacks at San Diego State University from 2009 to 2014 before returning to custom home design. His advice to those who ask: "Live your life with a purpose and know who it comes from."